In 2013, only a few people knew me other than my friends and family. Like almost every other young person, I wanted to do something for Pakistan but had no platform to do it from. So, without telling my parents, I submitted nomination papers to run for the 2013 general elections. When my parents did find out, they weren’t particularly happy or supportive. First: I was risking a stable job at a top law firm. Also, given Karachi’s volatile and security environment in 2013, I was most likely risking my life as well. Second: Perhaps my own parents had little confidence that I could achieve anything significant politically given that I had no political background and very little means to support me. When there was no support forthcoming from anywhere, I wrote a blog on Express Tribune addressing Pakistan, saying that as a common man I am running for elections to bring about better policies and want to see how far I can go with limited resources. I wanted to bear witness to how much this country’s political and social system would accept an ordinary man like me. In response to this blog, in all of Pakistan, the first reply I got was from you, Sabeen. You invited me to come over to your office. The look of astonishment and amusement grew on your face. Your smile broadened. I still don’t know if you were happy to meet me that day, whether you believed my words or took pity on my naiveté. You began to call your friends to introduce me to them, and requested that they hear me out at least once. When you were invited to a TV show, you refused to attend and instead asked that I be invited, and be given a chance to present my views as a young and independent contestant in the elections. That was my very first TV interview. You hosted my first corner meeting at T2F and provided me with a platform that hundreds and thousands of young people yearn for but never get. You wore my campaign T-Shirt and campaigned on the streets for me. You supported me publically. It still amazes me that we had only met two or three weeks ago, and yet you did so much for me. How does a stranger do so much for another person? In those 15 or 20 days, you did whatever you could do to support my cause, which perhaps had become your cause as well; the struggle to introduce independent and young candidates with a pluralistic manifesto into our legislative assemblies. The courage and comfort which my family, and most of my old friends failed to offer, was given to me by you. By showing confidence in me, you allowed me to instill confidence in myself. I could have been just another young Pakistani set to be overcome by our disillusioned system and society, someone on his way to becoming a cynic devoid of any hope in this country. But you anchored my hopes in Pakistan and its people. You gave me belief that when one enters a race with good intentions, even strangers will turn up to help. Since then, I have taken many such leaps of faith and you were always there to support me. Your actions preached that one should always be willing to help with whatever resources they have at hand. At times, we may not be the change, but we may still be the catalysts for that change. You had nothing to gain from this. You only believed in the cause, its objective and narratives. You had the power to unite others by teaching them these principles. We did not meet much socially, but you were always there to offer me advice and support during campaigns. Hence, I will always consider you a mentor. It didn’t matter if we had or hadn’t spoken in months, because when it came to sharing values and principles, I immediately found you standing beside me. One memory always comes back to me; when my own family didn’t have confidence in me, only you had confidence in me, Sabeen. And the truth is, the world I know today is the world you introduced me to. It’s not just me; I am amongst a myriad of youth for whom you were a catalyst of change. 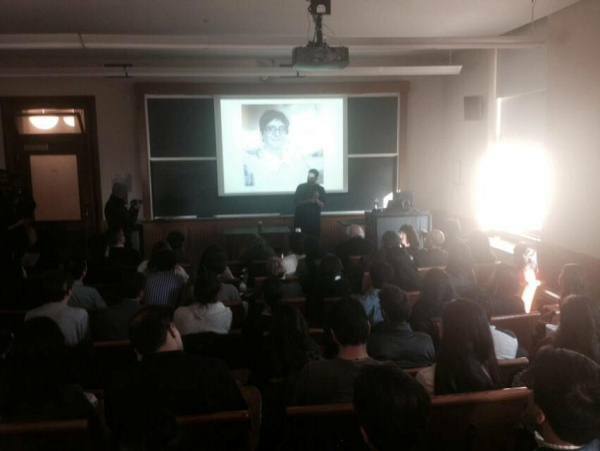 The day you were killed, I spoke at Columbia University to a room full of Pakistanis. One by one, members of the audience stood up to pay their own tribute to you. 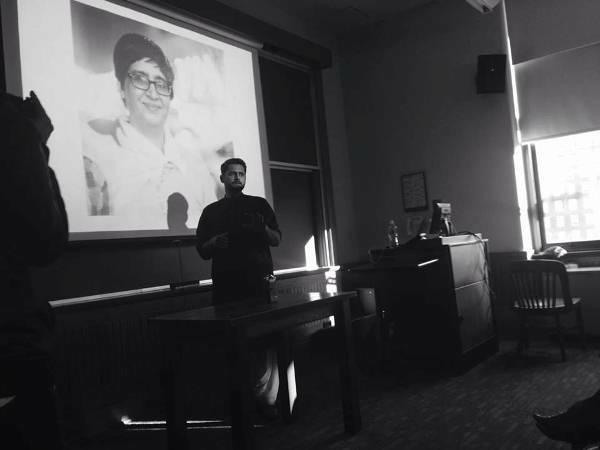 People sitting thousands of miles away from you shared their stories of how you helped, supported and inspired them. And this is the calamity, our collective misfortune and wretchedness. Little is expected from those who took you away. But many of those who mourn you are also not aware of what we lost when we lost you. Your life contributions and vision got less media coverage than the conspiracies surrounding your death. We didn’t lose an individual that day; we lost a complete institution, a university of life. A university where we learnt that we may not have to personally agree with every cause; but every cause and voice deserves to be heard. A university where we learnt what it means to be tolerant; for instance, those who doubted or abused you online, you invited them over for chai at T2F to encourage conversation and dialogue. A university, where we were encouraged to dream and to aspire for the better and where we were provided the platform to make those dreams come true. 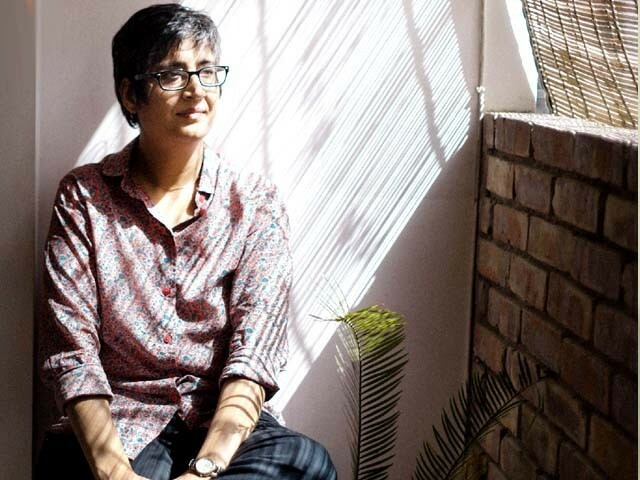 PS: Friends of Sabeen have started an online petition to rename 5th Sunset Lane, DHA Phase 2, where T2F is located to “Sabeen Mahmud Street” to honour her memory and her numerous contributions to Karachi. I request you all to sign, support and share this petition. Support T2F, Sabeen’s vision, so it continues to provide a platform to the youth of Karachi. Please install Sabeens statue next to the statue of Ms Bhutto at Boating basin Karachi.